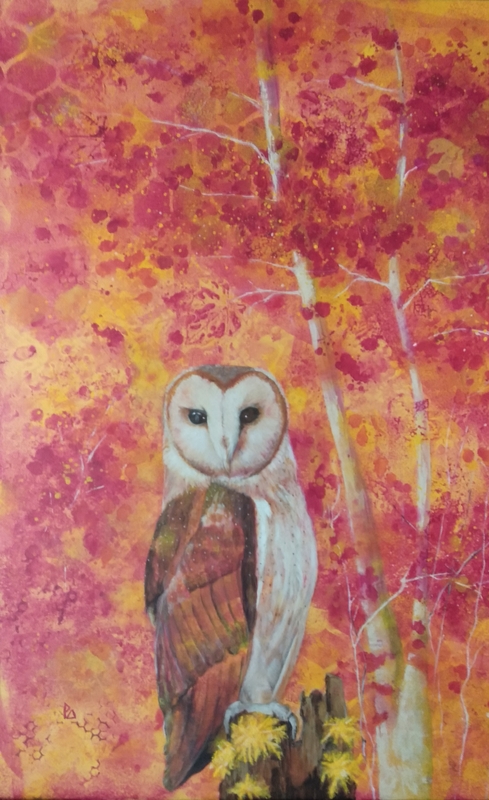 Paola Ditel is local artist painting in acrylic,watercolour, charcoal and pastel. My love for painting and drawing is from a young age. Background in interior design graduating at RMIT. In recent years have concentrated teaching yoga and Pilates and returned to painting discovering new energy in art. I discovered that I am a intuitive artist a spirit guide artist as well. Beginning with tutoring in traditional art I now wish to explore the mediums I use in an experimental way pushing playing and freeing up letting the medium express more. I’m still evolving in this journey and therefore my artwork is ever changing, This is what keeps me curious and interested in what I’ll do or go to next in my art. Awards. Best in show acrylic 2015. Best in black and white exhibition 1996. A few highly commended 1998, 2004, 2011, 2016. Sold art locally, around Australia and overseas.